Venice Beach Surf & Skate Fest Today! - Yo! Venice! Home Venice Beach California Venice Beach Surf & Skate Fest Today! Venice Beach Surf & Skate Fest Today! 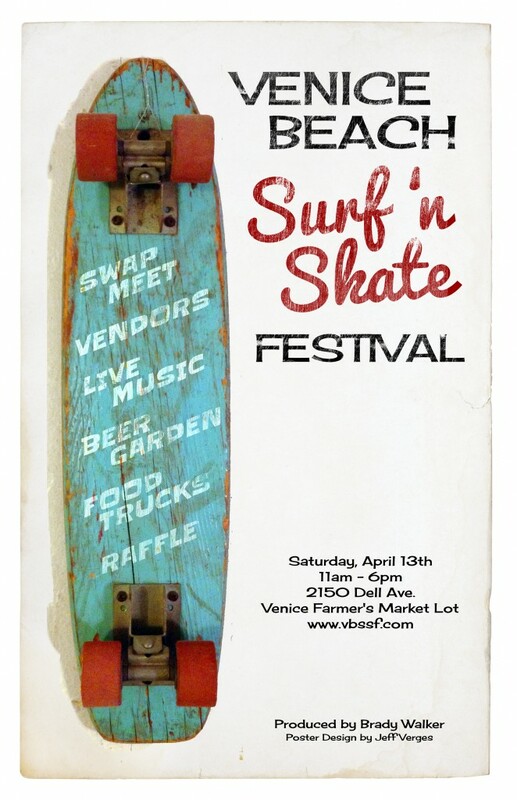 The second annual Venice Beach Surf & Skate Fest is happening today at the Venice Farmer’s Market lot from 11am-6pm! Local food vendors include the Farmhouse Kitchen, Poke Poke and Jody Maroni! Featured performers include Street Smart, Venice Street Legends and Flyin’ Lion! The Surf & Skate Fest (VBSSF) will have a ton of modern and vintage gear vendors, a charity raffle, historic exhibits and modern displays. Sponsor Stone Brewing will host a microbrew beer garden! Local non-profits such as the Venice Family Clinic and the Free Venice Beachhead will be at the event, with the charity beneficiary for this year’s event being Sea Shepherd, protectors of the ocean and activists of marine wildlife conservation.